Life in Antarctica is crazier than ever !. 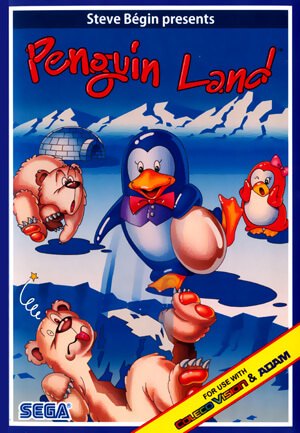 Polar bears have taken over Penguin Land, and Mister Penguin must move his eggs to his secret hideout deep within the ice caverns below. 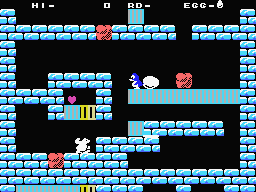 But the polar bears have discovered these caves and are now roaming everywhere !. 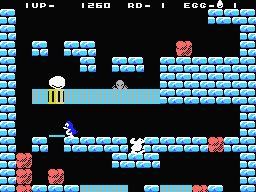 Guide Mister Penguin as he pushes his egg carefully down the platforms, breaking ice blocks and pushing boulders along the way. Be careful ! 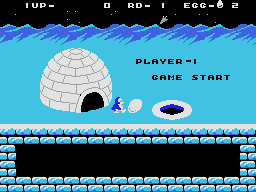 The egg will break if it falls from too high, or if other animals touch it !. 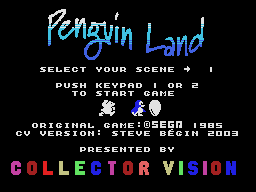 Can Mister Penguin protect his egg long enough to be reunited with his wife who is waiting for him down below ?